This is such a sweet idea for container gardens. We have a couple of old water troughs that have holes in them. What a wonderful idea to recycle them. 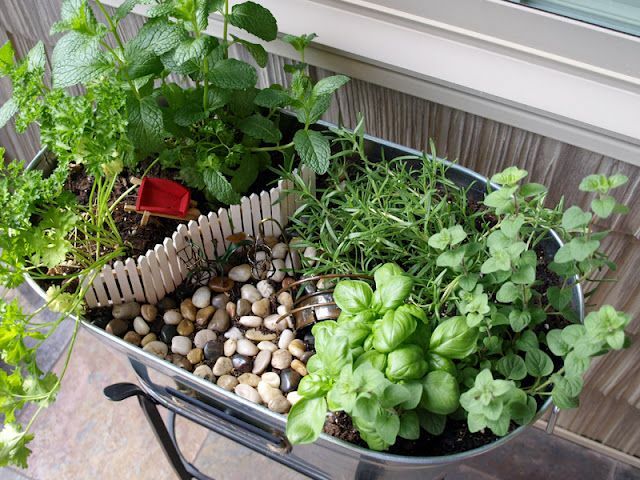 This is an adorable miniture herb garden. I love to use old and unusual containers for my container gardening. You can find old and unusual containers at local garage sales, flea markets, and even in dumpsters. 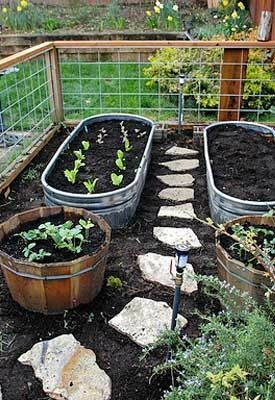 I would love to see what you come up with old containers in your garden!